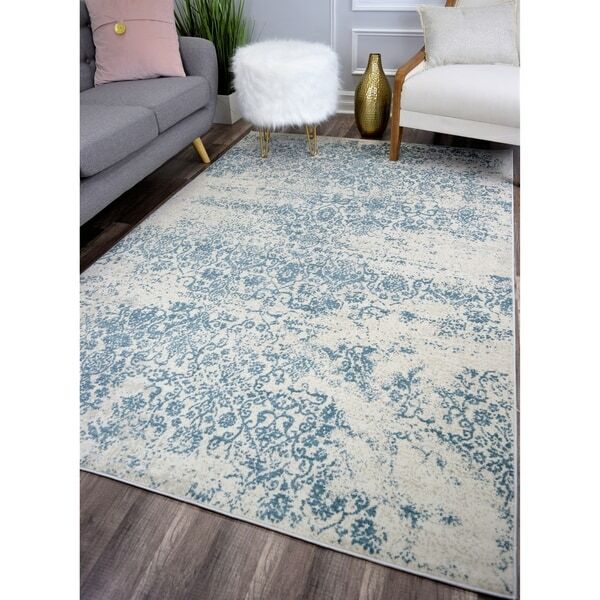 Blue-green is used beautifully in this polypropylene rug's vintage-styled motif. It incorporates the perfect amount of color and is a lovely juxtaposition to the piece's subtle faded appearance. Power-loomed, this accessory is made with a sturdy, short pile that's also soft on your feet. Add it to your bedroom for a stylish touch, or show it off in your living or dining room.